Chief protagonists: Tuam Stars’ Gary O'Donnell will be keeping a close eye on Salthill Knocknacarra's Sean Armstrong when the two meet in Tuam Stadium on Sunday at 6pm in a repeat of last year’s final which the city side won. A repeat of last year's county senior football final between Salthill-Knocknacarra and Tuam Stars, which the city side won by 0-12 to 0-7, is the stand-out tie in this weekend's senior football championship games. The game is fixed to throw-in at Tuam Stadium on Sunday at 6pm. Tuam are still under last season’s joint management team of Jimmy O' Dea and Kevin Reidy, alongside selectors Paul O' Rourke and Seán Rhatigan. Salthill-Knocknacarra have Cathal McGinley in the manager's role this year, with Mick O' Flynn and Gordon Morley as his two selectors. There is expected to be very little between the sides on Sunday evening. Mulholland's has Tuam at evens, with Salthill slight favourites at 4/5, and the draw is available at 7/1. Salthill-Knocknacarra were beaten by Carna-Caiseal in the first round of the championship, but regrouped and easily advanced over Micheal Breathnachs in the qualifiers. They have a backbone of some experienced players, including county captain Finian Hanley, Seán Armstrong, who has been in a rich vein of scoring form recently, Gary Cox, David Tierney and Seamus Crowe, and all will be expected to provide leadership for their side in this clash. The club's minor captain from last year, Evan Wynne, has been promoted to the senior side this season and he is a talented youngster. He, along with county u-21 player Gearoid Canavan and Conor Halloran, will be expected to provide the pace to help thwart the Stars’ forward division. Team manager Cathal McGinley is looking forward to the clash on Sunday and believes it is difficult to predict the result as neither side has form going into the game. "Tuam did very well and looked impressive in their win over Cortoon and we know that they will be very hard to defeat in Tuam Stadium. However, neither side has played championship for a long time now and it can be hard to gauge form in challenges and league games. "The Stars will be very eager to avenge last year's county final defeat and they will be very keen to get one over on us on Sunday. As Mayo showed last weekend against Donegal, raw hunger and desire for success is difficult to match, however, that is our job on Sunday." 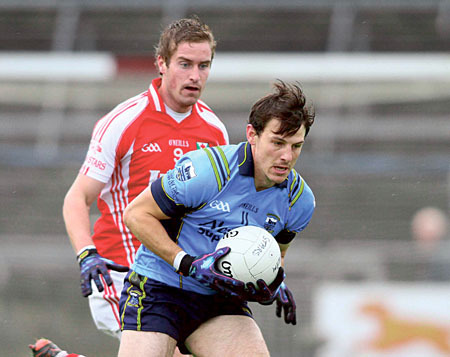 Salthill must plan without the services of Tomas Burke (knee ) and there is also a doubt over Conor Healy's availability. Tuam Stars joint manager Kevin Reidy is looking forward to the tussle with Salthill. His only injury doubt is former county minor Niall Quinn. They will be looking for big displays from county players Gary O' Donnell and Conor Doherty, and others like Noel Henry, Jamie Murphy, Aonghus Tierney and David Connern to help them advance to the last eight. According to Reidy, the current county champions deserve to be slight favourites. "We know we will be up against it, and that Salthill have some very talented footballers. However things have been going well for us and we are happy with how we are going. “It will take a big effort to beat them, but our lads are all looking forward to the challenge on Sunday. It will all come down to whichever team performs on the day and we are going out to give it a right rattle, and sure, we'll see where that brings us." Elsewhere, Cortoon Shamrocks and Killererin meet in their second-round replay at Tuam Stadium on Saturday (7pm ) and is expected to be another tight game. Despite the draw in the first game, Killererin are 1/2 to advance from this one, with Cortoon at 7/4. St Michael’s, who beat Killererin by 2-10 to 0-8 in the first round, will face a handy Annaghdown at Pearse Stadium on Saturday evening (7pm ). There are also two intriguing local derbies fixed for Sunday. Leitir Mór face An Cheathrú Rua at 4.15pm at Pearse Stadium and in Duggan Park, Caltra take on Val Daly's Mountbellew/Moylough at 3.30pm. There is a cloud of uncertainty over the final fixture between championship favourites Corofin and NUIG. The game is fixed for Sunday evening at 6pm in Pearse Stadium, but there is a concern NUIG will not be able to field a team due to the number of their players who are overseas for the summer months. The other three games to decide the quarter-finalists are fixed for the weekend of August 17 and 18. Milltown v Carna Caiseal is fixed for Saturday 17 at Pearse Stadium (7pm ). Also on that Saturday is St James v Kilkerrin-Clonberne at Tuam Stadium (7pm ). The final game of that weekend will see the winners of Killererin and Cortoon face Kilconly on Sunday August 18 at 6.15pm.